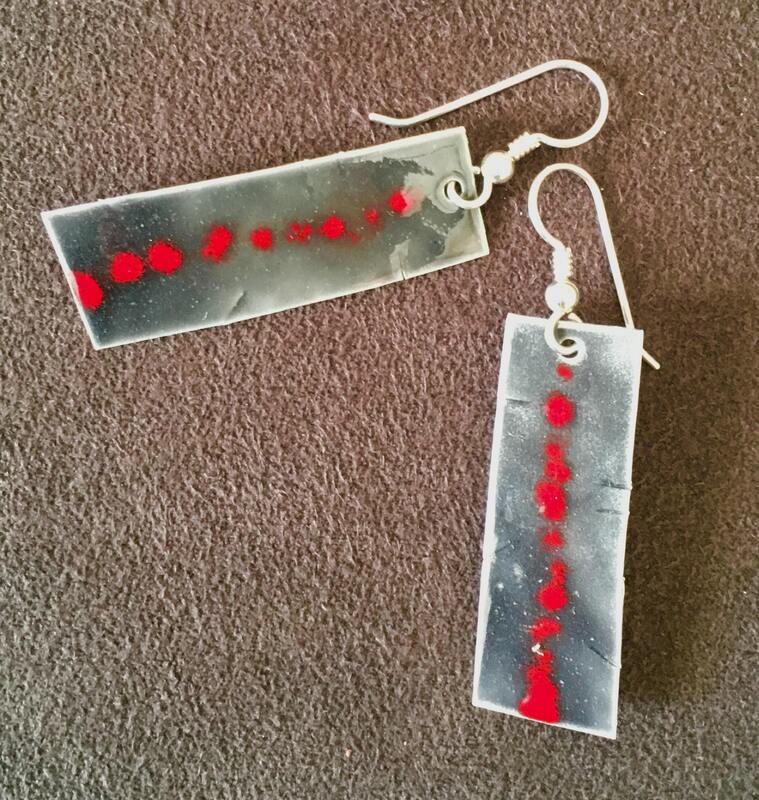 Minimalist contemporary earrings feature asymmetric rectangles of Fine Silver embellished with vitreous enamel in smoke grey and cardinal red. Earrings measure approx. 2 1/8" total.